As we enter the new year, coming out of nearly three straight months of too much food and too little training, it’s nearly guaranteed that people will be stepping up their weight loss efforts. 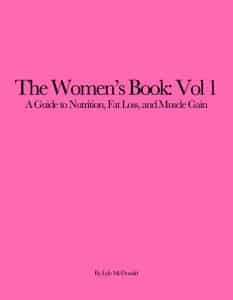 Now, there are and always have been a million and one (only a slight exaggeration) diet books out there, including mine. Fast diets, long-term diets, you name it and someone has written a book about it. In this context, a question worth examining is whether or not it’s better to go into a gradual, slow approach to weight loss, making small changes to habits or to just jump in feet first and go for rapid weight loss. Psychologically, many people are inherently drawn to faster programs because they get the weight off sooner. It’s just human nature, people always want more faster now. But is faster better or worse than a slower approach to weight loss? It’s taken almost as a matter of faith in the fitness world that slower rates of weight loss are superior to faster rates, that diets generating faster weight loss always cause faster rates of regain and poorer long-term results. As I’ll mention below, there is certainly some data to support that. It’s also often suggested that dieters set more moderate weight loss goals (e.g. lose ten pounds vs. 40 pounds) compared to larger ones; this is based on the idea that smaller goals are more realistic and more likely to succeed. But just because something is a long-standing dogma doesn’t make it true. And if it were as simple as slower is always better, I wouldn’t be bothering to write this article. It might come as a shock to many readers, who have only ever seen the standard dogma, that a fair amount of data actually shows that a faster/greater initial weight loss is often associated with better long-term maintenance. Yup, that’s right, better weight maintenance. Not worse. In a 2000 review titled “Lessons from obesity management: greater initial weigh loss improves long-term maintenance.” (1) along with a more recent review (2), it’s actually pointed out that a good deal of research has found that more rapid initial weight loss actually shows better long-term weight maintenance. However, against this notion speaks numerous post hoc analyses of weight loss intervention studies showing that a greater initial weight loss, usually achieved in the first 2-4 weeks of treatment, is associated with a better long-term outcome, i.e. a sustained weight loss 1-5 years later. As one example, Astrup (3) showed that the group of dieters who had lost the most weight at week 36 (17.7 kg vs. 9.8kg) had maintained more weight loss 2-5 years later (they were still down 7.1 kg vs. a 2.8 kg weight GAIN). Other research supports that conclusion as well; that is, in many studies, a faster rate and greater amount of weight loss is predictive of better long-term weight maintenance rather than worse. Now, analyzing studies after the fact can be a problem, it’s easy to confuse correlation with causation. For example, it’s well established that some people lose weight more easily than others due to differences in biology, hormones such as thyroid, leptin and others, etc. Perhaps the folks who lose weight the most readily early on are the ones who are biologically more likely to keep it off in the long-term. For this reason it’s crucial that controlled studies, where the rate of weight loss is manipulated be performed. Not a lot of work has been done in this area but what work has been done is certainly supportive of the idea. In one study, subjects were placed on either a very low calorie diet or a conventional diet so that they would lose the same amount of weight over different times frames (8 vs. 17 weeks). Both groups lost 13.6 kg but, of course, the rate of weight loss was double in the very low energy group. Weight loss maintenance was higher by 2.4 kg at one year and 3 kg at two years although this wasn’t statistically significant (4). Now, a problem with many dieting studies is that the often use multi-factorial approaches to weight loss and this can make it difficult to isolate out what’s doing what. For example, some studies will examine diet with behavioral therapy or exercise, or diet with or without diet drugs, or some combination of all of those. Figuring out what’s driving what can be difficult. Maybe it was the diet, maybe it was the drugs, maybe it was the behavioral intervention, maybe it was the combination of everything tested. And this in part explains some of the research showing a worse effect from very low calorie rapid weight loss approaches; many of them contain exactly zero nutritional re-education as they are based around protein powder and pre-mixed type diets. They may generate stunningly fast weight loss but they don’t do anything to help with long-term maintenance. No change in food habits, nothing. control food intake….The problem in my mind is that, while this approach to dieting generates amazing weight/fat loss in the short term, it does nothing to teach or retrain overall eating habits in the longer term. Basically, to have any chance of succeeding in the long-term, any diet approach (whether slow or fast) must contain an element of nutritional education. Along with generating quick weight loss, the diet should work to help the person learn good long-term eating habits. It’s also beneficial if aspects such as increased physical activity are included. As I’ve discussed in many of my books, and once again going against the dogma on the topic: at realistic levels, exercise actually has at most a small impact on total weight loss (although proper exercise spares lean mass loss and increases fat loss as a result). However, it’s absolutely critical for long-term weight maintenance. Any diet or training program that doesn’t set the person up with tools for long-term maintennace is a bad one, simple as that. Of course, this is exactly how I set up The Rapid Fat Loss Handbook and why I did it the way that I did. The program is a rapid weight/fat loss plan but I explicitly built it around whole foods rather than supplements. That way, even while it’s generating rapid weight and fat loss, it’s also giving the dieter a better baseline diet (built around plenty of lean protein, vegetables, and essential fatty acids). As well, exercise (primarily weight training with only small amounts of cardio required or recommended) is recommended during the diet, with an increase in aerobic type activity when the dieter either moves into maintenance or a moderate type of dieting approach; again this is consistent with the research on the topic. The book spends quite some time on moving to maintenance as well, with both a non-counting and counting approach to the mainteance period. On that last note, many have found that The Rapid Fat Loss Handbook plan is a great way to kickstart a more moderate diet. I think much of this is psychological, it can be depressing watching the scale drop by a pound a week; a rapid initial fat loss is psychologically gratifying for many people and often sets the dieter up to move into a more moderate approach (which the book details how to set up). [Very low calorie diet] with active follow-up treatment seems to be one of the better treatment modalities related to long-term weight-maintenance success. In this context, follow-up treatment included behavior therapy, nutritional education and exercise. An extreme diet followed for 2-4 weeks before moving into maintenance may represent a nearly ideal compromise in this regards. The benefits of a rapid initial weight loss are present along with the potential benefits of longer-term more moderate approaches to dieting (many of which are discussed my book A Guide to Flexible Dieting). As much as the research may support them, in the real-world rapid weight loss plans are absolutely not appropriate for everyone. The main exception are folks who have shown a pattern of on-again/off-again or binge type eating; they invariably tend to have poor success with extreme diets. While they may do stunningly on the diet but they won’t move to maintenance well (or at all) and will end up flip-flopping between two extremes. For those individuals, a plan like The Rapid Fat Loss Handbook is probably the worst choice and I don’t recommend even attempting it; even if the diet succeeeds in the short-term, it is as likely to fail in the long-term as anything else. For those extremist individuals who have trouble moving out of a diet without losing control, the ideas in A Guide to Flexible Dieting are probably more beneficial. But for many individuals, given the information discussed above, it’s becoming clear from the research that rapid weight loss plans, as long as they include certain factors such as nutritional re-education, exercise, etc. may be superior to more moderate approaches. A. Astrup and S. Rossner. Lessons from obesity management: Greater initial weight loss improves long-term maintenance. Obes Rev (2000) 1: 17-19. K. Elfhag and S. Rossner. Who succeeds in maintaining weight loss? A conceptual review of factors associated with weight loss maintenance and weight regain. Obes Rev (2005) 6: 67-85. Astrup, A. et. al. Prognostic markers for diet-induced weight loss in obese women. Int J Obes (1995) 9: 275-278. S. Toubro and A. Astrup. Randomized comparison of diets for maintaining obese subjects’ weight after major weight loss: ad-lib, low fat, high carbohydrate diet vs. fixed energy intake. BMJ (1997) 314: 29-34. Saris WH. Very-low-calorie diets and sustained weight loss. Obes Res. (2001) 9 (Suppl 4):295S-301S.